Kawagoe (pop. 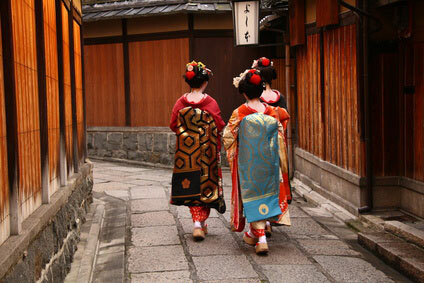 330,0000) is a historical castle town dating from the Edo era (1603-1867). 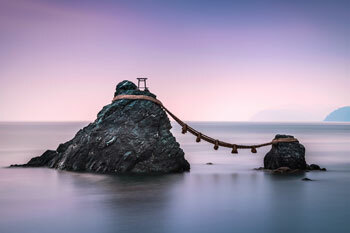 Dubbed "Little Edo" (or Ko-edo in Japanese), the city was selected as one of Japan's 100 most beautiful historical landscape (美しい日本の歴史的風土１００選) in 2007. 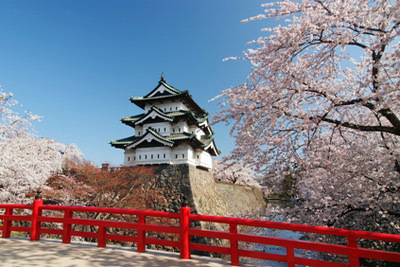 It is can easily be visited as a day trip from Tokyo. Kawagoe Castle was built in 1457 and shōgun Tokugawa Ieyasu later resided there with 21 lords. The Honmaru Goten, the only surviving building, was the castle's innermost palace and dates back to 1848. 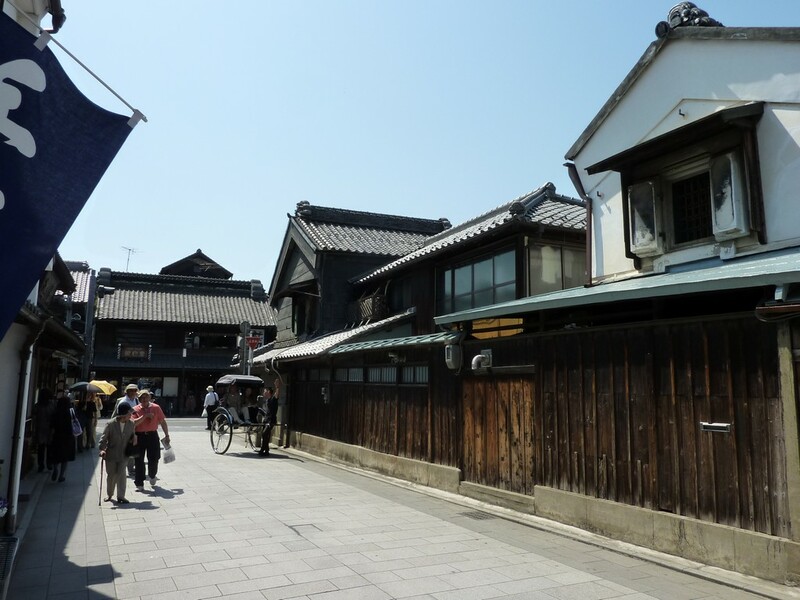 Kawagoe was destroyed by a fire in 1893. Some districts had to be entirely rebuilt at that time. Warehouses (倉 "kura") storing valuable goods were reconstructed with fire-proof clay-walls, composed of several layers. 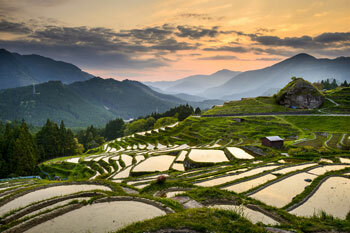 These are called kurazukuri and many of them surviving to this day have been designated as national treasures. Most of the 200 kurazukuri of Kawagoe cluster in what is known as the Kurazukuri's Warehouse District (蔵造りの町並み, Kurazukuri no Machinami), composed of Kurazukuri Street (蔵造り通り, Kurazukuri-dōri) and side streets, in the northern part of town. Count 15 min walk from Hon-Kawagoe Station, and 25 min from Kawagoe Station. 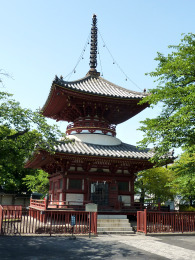 The Toki no Kane (bell tower) literally means "bell of time" as it was used to ring the hours. On top of its 16 metres, it is the main landmark of this rather flat neighbourhood. The first bell tower was erected 400 years ago, but fire destroyed it and its sucessors. This is the 4th reconstruction, dating from 1893. Tucked in the north-western corner of the quarter, the Kashiya Yokocho (菓子屋横丁), or "Candy Alley", is a quaint cobbled street that specializes, as its Japanese name indicates, in the sale of traditional sweet confectioneries. It is usually filled with school students. 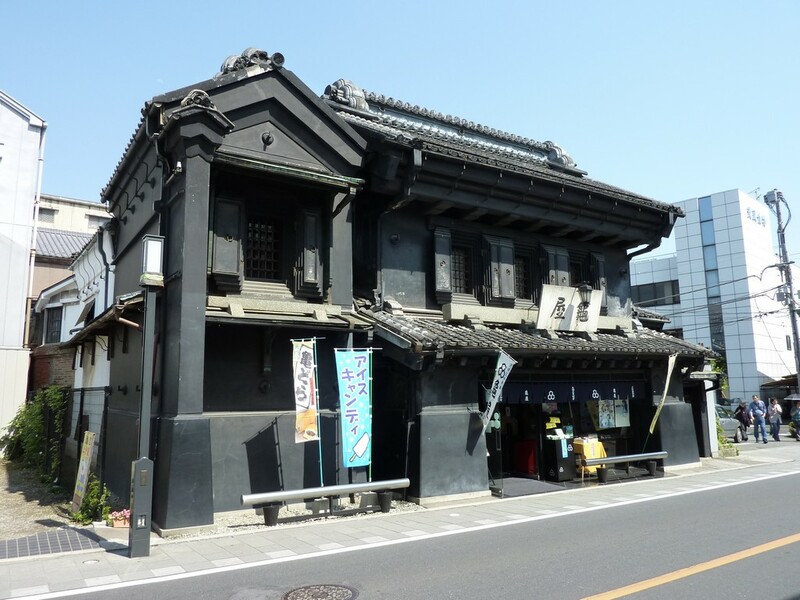 At the southern end of the street are a few Meiji-era and Taisho-era Western-style edifices, including a former dental office, the Kawagoe Chamber of Commerce (川越(商工会議所) and the Shimano Ko-hi- Taisho Kan (シマノコーヒー大正館). You can learn more about Kawagoe's history at the Kurazkuri Museum and the Kawagoe Festival Museum, both on the main street. 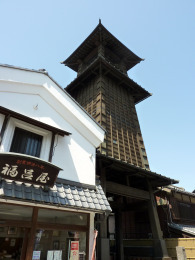 The second major attraction of Kawagoe is the Kita-in Temple, once a major headquarters of the Buddhist Tendai sect. The temple was founded in 830. It roughly marks the centre of the city. In the 16th and 17th century, its head priest, Tenkai (天海), became a consultant to the three first Tokugawa shōgun, and is said to have reached the venerable age of 108 (b.1536, d.1643). The good relationship between Tenkai and the shōgun transcends from the following event. 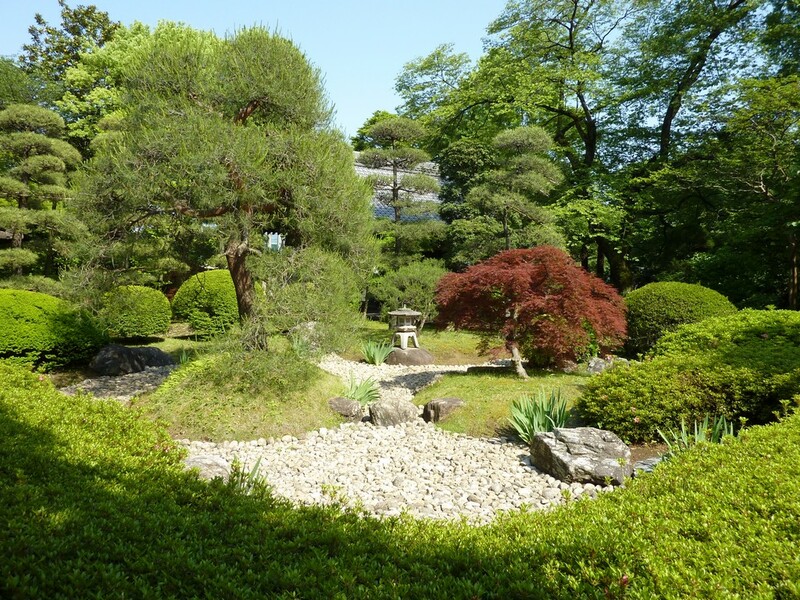 In 1638, the temple burned and Tokugawa Iemitsu donated some structures from Edo Castle to the Kita-in. 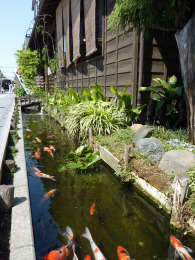 A canal was even built on purpose to convey them all the way from Edo to Kawagoe. Some of these structures, including one said to be Iemitsu's birthplace, can still be seen today, notably the Senba Tōshō-gū Shrine (仙波東照宮) at the southern end of the compound. The lively Kawagoe festival is held for two days (Saturday and Sunday) in mid-October each year. If you are visiting between April and September you will be able to admire the mikoshi (portable shrines) at the Kawagoe Festival Hall (川越まつり会館). There are enough temples and shrines in Kawagoe to keep you busy a whole day. 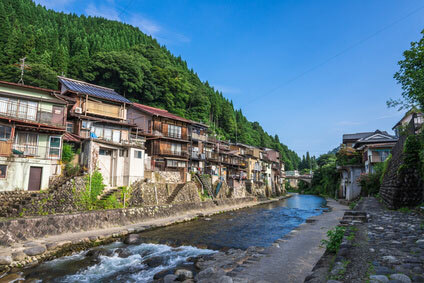 They are fairly spread out around the city and waling from one to the other can be time consuming, which is why few tourists bother to visit more than those at proximity from the Kurazukuri neighbourhood and Kita-in Temple. 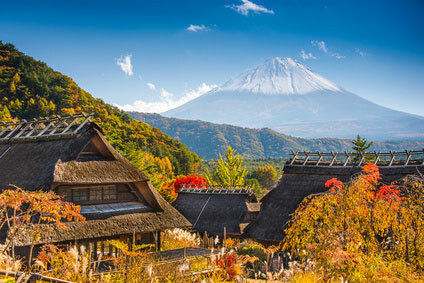 There are about 15 Buddhist temples and 3 Shinto shrines in a 500m radius from the Kurazukuri street. Among them are the Hōzen-ji, Gyōden-ji, Yōjū-in, Kenryū-ji, Kannon-ji, Honnō-ji, Dairen-ji, Kōsai-ji, Jūnen-ji, Eirin-ji, Myōyō-ji, Myōshō-ji, and Renkei-ji. This last one is probably the most interesting, although the Yōjū-in is also quite big. The Honmaru Goten palace (本丸御殿) and the castle park are located in the north-eastern section of town, 500m due east of the Toki no Kane. 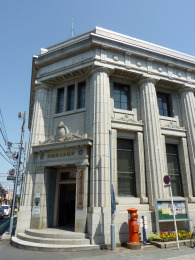 This is also where you will find the City Museum (川越市立博物館) and City Art Museum (川越市立美術館). Follow the river to the north to reach the Hikawa-jinja Shrine (氷川神社), surrounded by cherry trees. 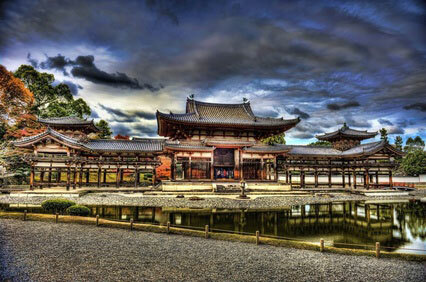 Further north are two other Buddhist temples, the Tomyo-ji and Shingyo-ji. Moving south from the castle park or Kurazukuri street towards the Kita-in Temple, you will first pass the large Betsu-in (別院), which is the local branch of the Narita-san Temple, one of the largest and most influencial temples in Eastern Japan. Immediately south of the Kita-in compound is the delightful little Naka-in, founded by the great religious leader, Jikaku-Daishi Ennin, in 828. 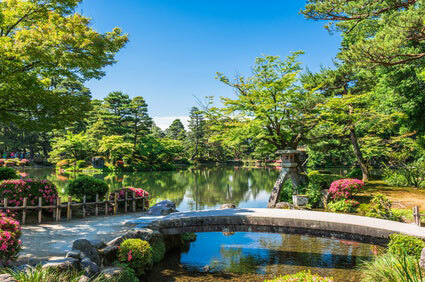 Its gardens are remarkable and can be enjoyed differently at each season of the year. The southern part of the city has yet more temples and shrines, including the Chōtoku-ji, Tennen-ji, Sengen-jinja and Kawagoe Hachiman-gū, although none are exceptional. The fastest and cheapest way from Tokyo is from Ikebukuro Station. The trip with the Tōbu Tojo line takes about 30 min and cost 450 ¥. Alternatively the Tokkyuu Koedo train from Seibu Shinjuku station will get you there in 45 minutes for 480 ¥ (watch out not to take the slower Kyuukou train which stops 16 times instead of 4).